I'm planting heirloom tomatoes for the first time this year! A man who sells heirlooms lives just a few blocks away. He had 27 varieties and I really didn't know what to get. I had to pick tomatoes already because the clusters were so large and weighing the plant down, despite being well supported. Only one of these came home with me from the farmer's market. I'm a bit relieved by that because I can't imagine how many tomatoes I'd have! 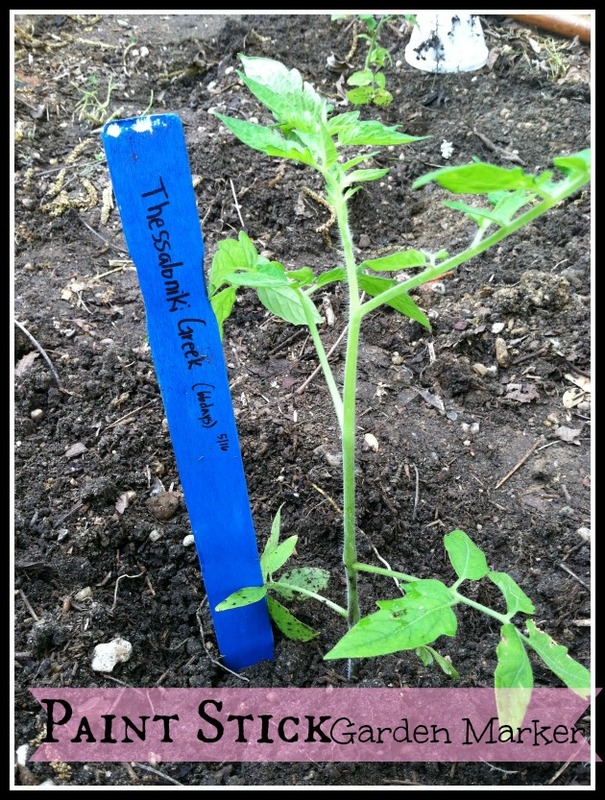 With the heirlooms, I wanted an easy way to mark them and keep track of what I planted. A painted paint stir stick, labeled with a sharpie seemed like the perfect solution. 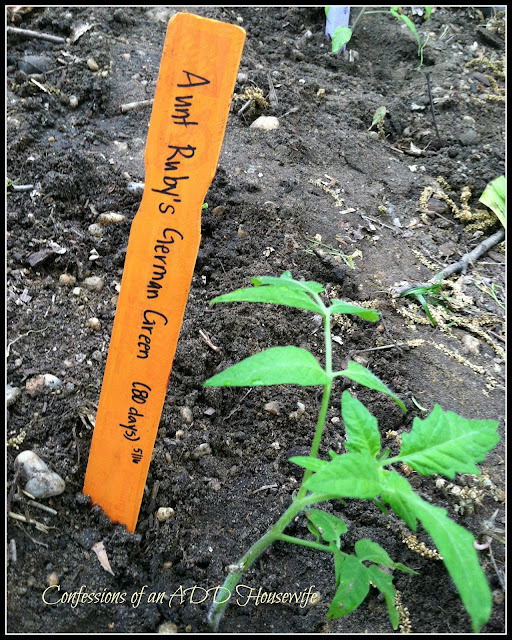 Free, fast and plenty of room to label things like when you planted and how long til expected harvest. I'm really looking forward to seeing how these tomatoes taste. The rest of the garden is growing well. The hot peppers are already coming in and I saw some flowers on my cucumbers this morning! What are you looking forward to harvesting this year? 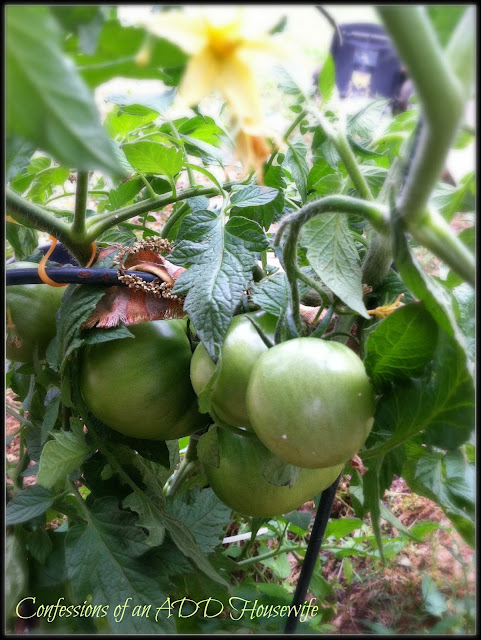 You can't beat fresh tomatoes from your own garden!